The Uttar Pradesh government on Wednesday completed the bidding process for the proposed 301-km Agra-Lucknow expressway. The expressway would be built in five packages by different developers. The bid evaluation committee on Wednesday opened the financial bids of companies, Uttar Pradesh Expressways Industrial Development Authority (UPEIDA) Chairman and CEO Navneet Sehgal said. The selected bidders had quoted the lowest amount. Afcons Infrastructure for package four (Kannauj-Unnao); and L&T for package five (Unnao-Lucknow). The representatives of infrastructure majors, including Jay Prakash Associates and Ircon International, had also participated in the bidding. 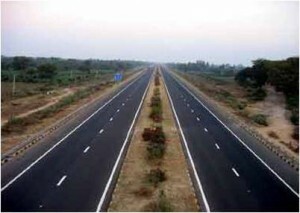 Investments of Rs 10,000 crore is estimated to flow into the proposed access-controlled expressway. It would not only cut travel time between Lucknow and Agra, but spur economic development along with the route for trade, agriculture and economic corridors, proposed at different places. The expressway would cut travel time between Lucknow and Agra and spur economic development along the route with trade, agricultural and economic corridors proposed at different places. It would provide seamless travel between Lucknow and National Capital Region (NCR) via the functional Agra-Greater Noida Yamuna Expressway. Besides, it would provide seamless travel between Lucknow and National Capital Region (NCR) via the functional Agra-Greater Noida Yamuna Expressway. Earlier, the project was planned on the public-private partnership (PPP) model. However, it failed to attract investors due to economic slowdown. Subsequently, the government decided to complete the project through the Engineering, Procurement and Construction (EPC) route, wherein the state would fund the project. UPEIDA is likely to spent almost Rs 5,000 crore to acquire land for the project, which is likely to be completed in three years. Previous story How to increase fuel mileage in your diesel truck? ?